Assarain Concrete Products & Trading LLC (ACP) is a flagship company of the Assarain Group & is renowned for its brand and impeccable quality products and services across Oman & throughout the Gulf Region. 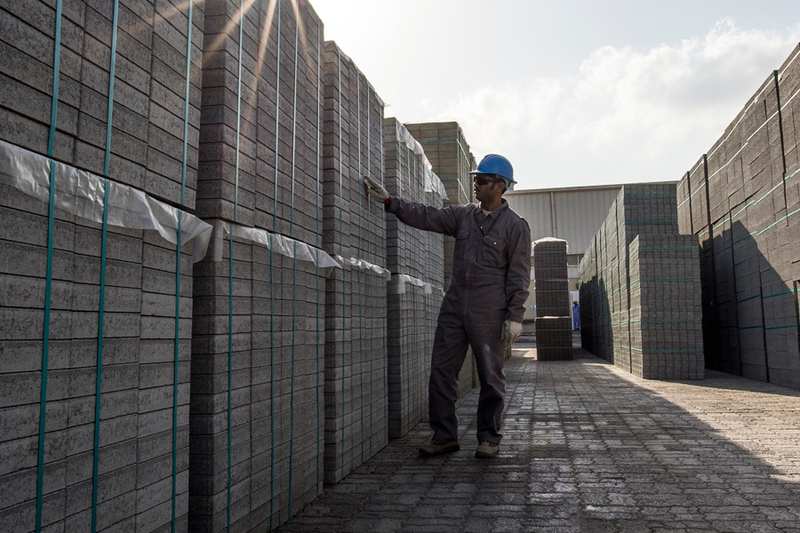 Originally established in 1984, we now lead the way as one of the largest manufacturers and suppliers of concrete products in Oman with our annual production capacities yielding 15 million concrete blocks, 3 million square meters of interlocking tiles, and 1.5 million linear meters of kerbstones. Our plant in Sohar is known as Modern Concrete Products (MCP) and the one in Dubai is known as Alserkal & Assarain Concrete Products (AACP). Our vision has always revolved around maximum utilization of high quality concrete products all across Oman. Backed with in-depth knowledge and technical expertise in cement and concrete, we are aiming to improve the quality of infrastructure in the Sultanate. 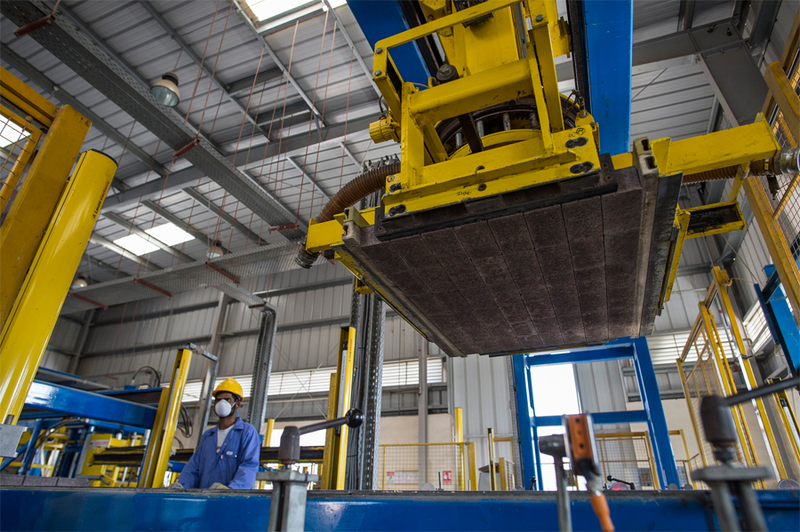 Our companies have grown around 10 times in turnover with an impressive footprint of 11 plants across Oman and UAE. Over the past three decades, we have grown into a prestigious “concrete products manufacturing group” by having additional mega manufacturing facilities in Sohar and Dubai. 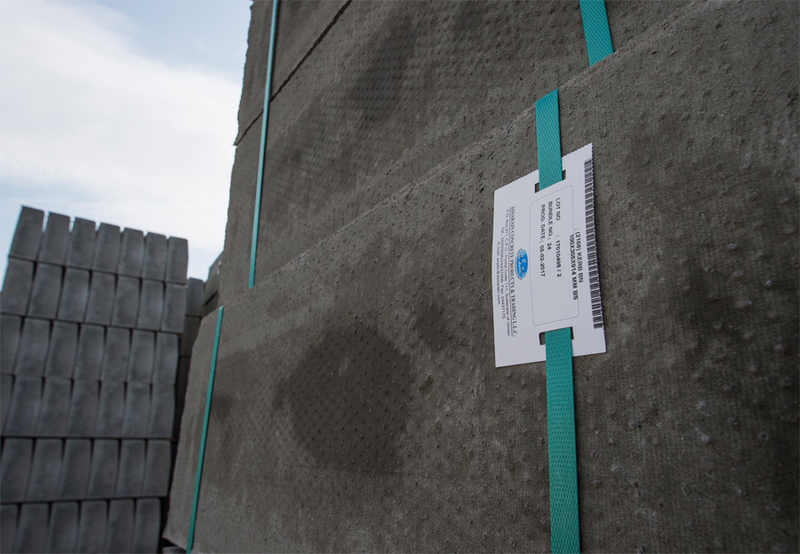 Modern Concrete Products-Sohar caters to the entire Al Batinah region whereas Alserkal – Assarain Concrete Products-Dubai supplies our wide range of products within the UAE markets. Our Group places the concrete products manufacturing companies in close focus as it forms the heart of our collective success. A single source for a tremendous variety of products, we provide near limitless customized options to our available product range. Interlocking tiles, hydraulically pressed kerbstones, hydraulically pressed chamfered edge paving slabs, hydraulically pressed cable tiles, OPC and SRC building blocks, concrete patterned tiles and exposed aggregate tiles are among the key products offered by us that can be further customized towards specific customer requirements. In addition, specialized products are also available through our manufacturing facility such as surface shot blasted interlocking tiles, split finish blocks, rubber tiles, LED stone illumination tiles, light weight blocks, flower wall systems and retaining wall systems. As part of our cumulative offering, we have exclusive agencies for the supply of smart construction solutions such as Tensar wall retaining systems, play equipment, LED lit pavers, & rubber tiles for playgrounds among many others. As with any industry leader, we uphold operational standards in maintaining a strict adherence to product quality standards. Among all concrete providers within the Sultanate, we pride ourselves on being the sole organization to hold Integrated Management Systems (IMS) certified with all three ISO Standard Certifications in ISO 9001:2008, 14001:2004 and OHSAS 18001:2007. Our purpose in taking a full-fledged integrated Quality, Environmental and Occupational Health and Safety Management System certification is to ensure that the product and service quality continues to meet the highest standards demanded by our organization which has come to be expected by our customers. It also ensures that our products, processes, and services are carried out in an environmentally responsible, protective and safe manner. In our relentless pursuit of defect-free production, we strive to maintain ourselves as a world-class supplier through our exceptional attention to detail and by forging meaningful customer relationships by way of anticipating customer requirements, and providing customers with top-tier services. As a standard, we work beyond simply meeting the requirements of government organisations and have operated to meet the standards for world renowned companies such as Carillion Alawi, CCC, CCC-TAV, Galfar, Al Adrak, STS and PDO among others. We also ensure that we meet the standards of various consultants including Parsons, Cowi, Cowi Larsen, CES, Khatib Alami, and Gulf Engineering, among several others organizations. We recognize the importance of “In-Country Value” and have assumed an integral role in the growth of our nation. A multi-phased strategy has been implemented to provide meaningful growth and Omanization across all of our operations. The work we have done has generated revenue and profit for the Sultanate, which in turn benefits business development, contributes to human capability and stimulates productivity in the Omani economy. We fully support the national ICV programme and have embedded ICV into our own business planning model. 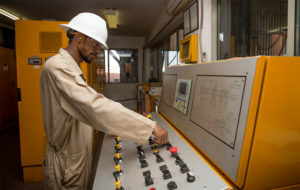 Through this, we aim to espouse our Group’s specific initiatives that cover the development of a local workforce, the increase in local sourcing of raw materials, goods and services and our participation in Oman’s Joint Supplier Registration System (JSRS). This further validates the ICV core value. Our ongoing commitment to Oman has grown to become a fundamental pillar in the ACP mission as our organization looks forward to sustained growth alongside the Sultanate. We are constantly engaged in training and developing our workforce with special attention to furthering the capabilities of our Omani personnel in their functional areas. Due to focused training and on the job coaching, many Omani key personnel have moved up the ladder and are occupying important positions in domains such as Sales & Marketing, Plant Operation and Supervision, P&A, Accounts, and Customer Care Division. Following the successful training and development of a local office-based workforce, the initiative now turns towards an increase in well-trained and mentored Omanis for operational production. We are the proud recipient of the “Best Manufacturer in Construction Material – Concrete Products Award” at the Construction Awards & Summit 2014. We have also received awards from Yanqul Municipality towards corporate social responsibility (CSR) for supplying 10,000 sq. meters of interlocking tiles, free of cost, towards Yanqul’s city development. Our company has received appreciation certificates from multiple customers such as Muscat and Sohar Municipalities. We always aim to achieve and maintain high credibility with our employees, customers, community and shareholders who recognize us as a responsible organization which conducts business in a manner that conserves the environment, minimizes pollution and provides a safe work atmosphere. With such gravitas and credentials, we generate confidence among our stakeholders. Recognized internationally for our management procedures, processes and customer focus, at Assarain Concrete Products & Trading LLC, we are a step ahead of our competitors. We are poised to continue delivering only the best in product quality to the Sultanate of Oman and the entire GCC Region. To make things as easy as possible for our customers, we have made significant investments to create an exclusive showroom at Madinat Qaboos, a dedicated unique Design Park at our factory premises and eye-catching displays of various designs all across our manufacturing hubs. At Assarain Concrete Products & Trading LLC, our technology, people and processes are fully aligned towards being world-class suppliers. 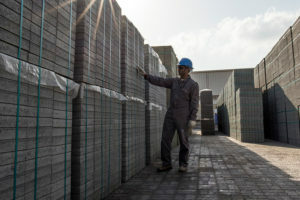 Mr. Khalid Said Al Wahaibi,Managing Director, on being asked the compelling reason for creating such large manufacturing set-ups, informs, “It gives me immense satisfaction when our companies deliver quality products from mega infrastructure projects to even individual customers in far flung areas.